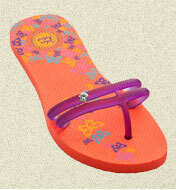 SolarActive® color changing products are great for crafts, making your own jewelry, head-ware, holiday cards, etc. Make your jewelry change colors in the sun using SolarActive® products! Why settle for one color? Be unique and make your own jewelry with color change embroidery thread, uv beads, and buttons that change color in the sun. Completely safe with all ingredients made in USA. 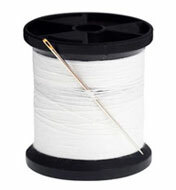 SolarActive® color change thread is great for crafts, crocheting, hand stitching and embroidery. SolarActive® bead kits are perfect for craft items; they include everything you need to make a fabulous bracelet! Add your designs using color change bead kits from SolarActive® to your wearable art. 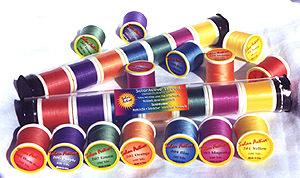 Crafts are more fun using SolarActive® color change threads, beads, buttons, and more. All SolarActive® technology changes colors in the sunlight, and then changes color back again when removed from UV. Don’t be fooled by imitation. SolarActive® color changing products are PROUDLY Made in USA. There are many other UV detector ideas available throughout our website and jewelry making designs using SolarActive® color change UV beads. Instantly, UV beads change colors from the energy of the sun and when removed from the sunlight the ultraviolet SolarActive® color change UV beads will cycle back and forth thousands of times! Teachers, and camp counselors now is the time to purchase SolarActive® color changing pony UV beads and SolarActive® specialty shape hearts, stars and butterfly UV beads. Powered by SolarActive for the finest in color change UV beads! The ORIGINAL- don’t be fooled by substitutes! SolarActive® beads are USA MADE! Solaractive® beads change colors for years because they are ‘Powered by SolarActive®’! Don’t get caught by imitation UV beads or inferior products that only change to pastel colors or won’t meet new safety specifications. SolarActive beads are strong vibrant colors in the sunlight and true white indoors; not brown or yellow. 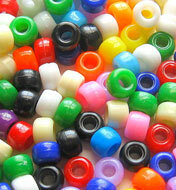 SolarActive® uv beads are CPSIA certified Lead and Phthalate free! 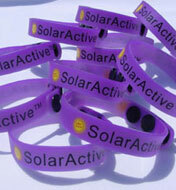 SolarActive® beads are available in 9 different colors! 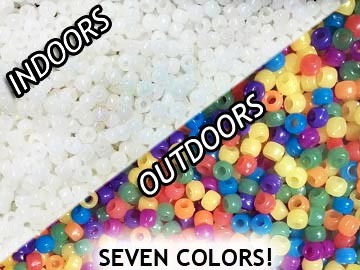 SolarActive® beads change to SEVEN colors! Beads change color instantly in the sun from white to red, yellow, purple, magenta, orange, blue, and green. There are also beads that change from one color to another. Hearts, Stars, Butterflies, and Facets Change Color in the Sunlight! 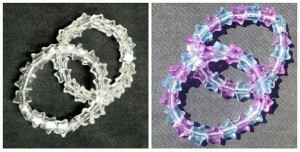 SolarActive® color changing bead shapes are fancier and more translucent. 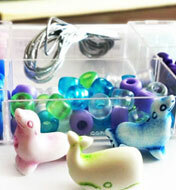 Use in between uv pony beads for more creative craft projects and jewelry making. All beads change color instantly in the sunlight and back again when removed from the UV light source. Powered by SolarActive and the energy from the sun. Give your craft projects and jewelry making a SolarActive® color changing boost! 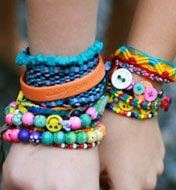 Use solar beads to create color changing bracelets, fun scrunchies, sock toppers, key holders and decorations of all kinds. Since SolarActive® color changing products only change color in the presence of UV rays, they also become instant UV detectors. 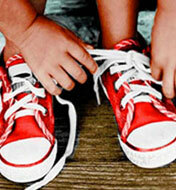 Adults and kids are more aware of dangerous UV rays when wearing a UV sun sensitive product. When SolarActive® color changing bracelets, buttons, t-shirts or embroidery thread turn colors, its a reminder to put on the sun block! 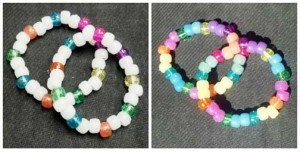 UV BEADS, HEARTS, STARS, PONY BEADS AND MORE ALL CHANGE COLOR FROM THE ENERGY OF THE SUN! WHOLESALE BEAD PRICING AVAILABLE AND TEACHERS DISCOUNTS. 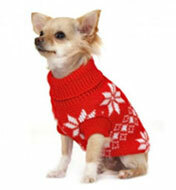 Click Here To send your resale license number and we will send you our wholesale price list.